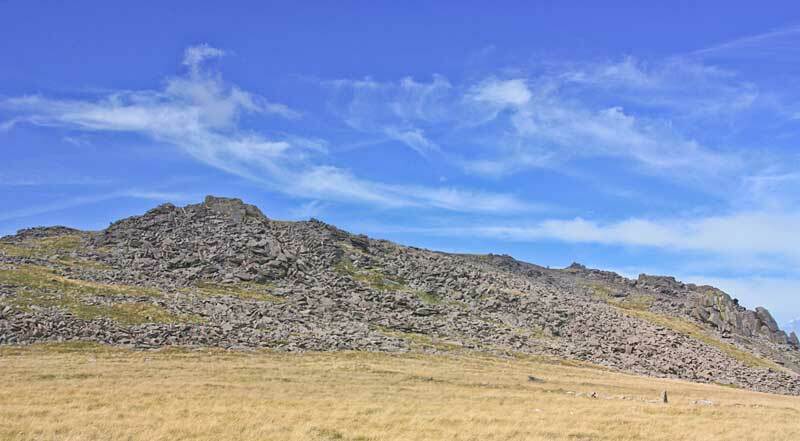 Picture from group : SE Ridge central and trig pillar skyline right. Picture: SE Ridge central and trig pillar skyline right. Easy access, good views of the Llyn Penisula. There is parking for two or three cars at around SH43770 47451 A. Start from here over rough moorland towards the summit.